This topic has 2 voices, contains 3 replies, and was last updated by TB Support 224 days ago. I have problem with blog. I want blog like this http://demo.themeburn.com/technopolis/3/blog, two or more blogs listing in one row, but I can’t do that, because in my “TECHNOPOLIS” I can’t find GRID. 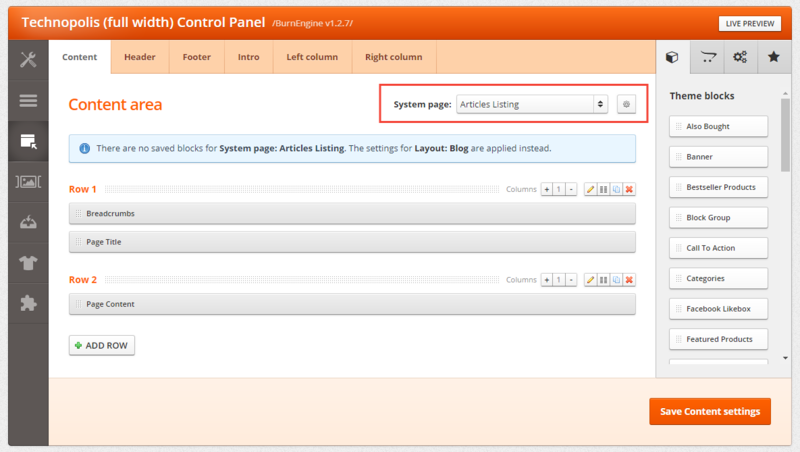 You need to use the system page scope (System page > Stories > Articles listing / by tag) and not blog layout. I understand. Before I saved blog layout and (System page > Stories > Articles listing / by tag) not give effect, but when I deleted saved blog scope, your advice helped me. Glad to see you have accessed the option!